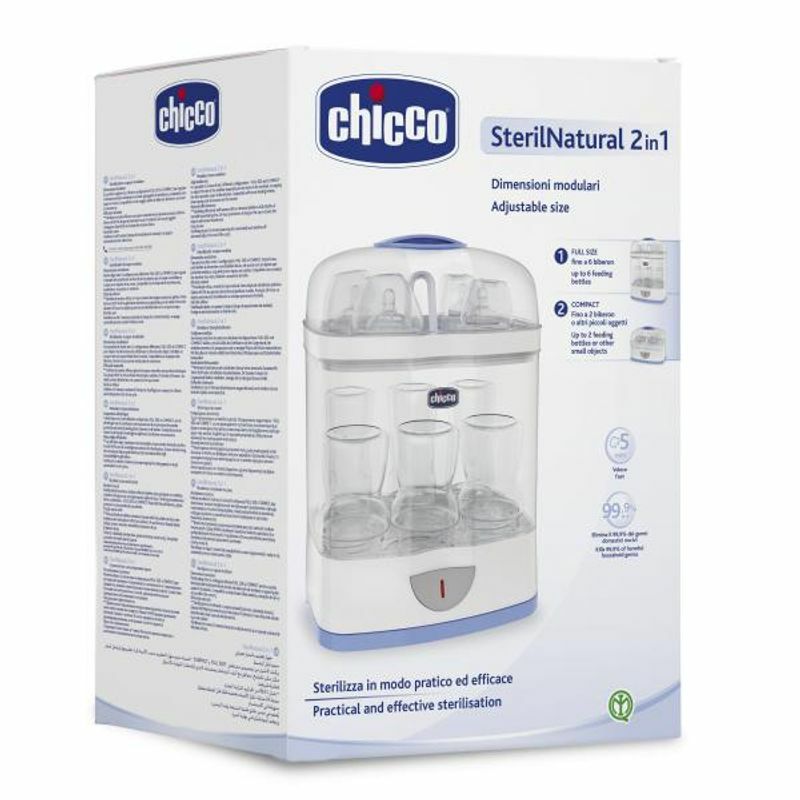 Steril Natural 2in1 from Chicco is a modular steam sterilizer that allows sterilizing for feeding bottles, breast pump, soother and other accessories, efficiently and quickly. This amazing sterilizer comes with the provision of adjusting its size depending on the kind of the product that needs to be sterilized. You can configure it to either of the two sizes, Compact and Full Size to adjust the dimensions of the sterilizer, occupying less space in the kitchen. 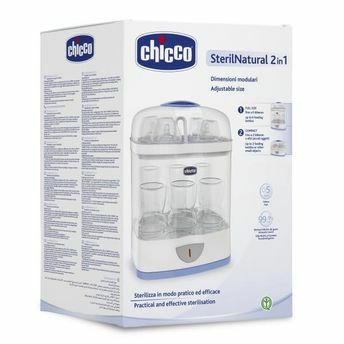 Note: Chicco feeding bottles go best with Chicco sterilizer for cleaning and killing germs and maintaining hygiene.